STP will not perform at the Winter Olympics in Salt Lake City. They were scheduled to play on February 21st at the Hallmark Medals Plaza. Stone Temple Pilots vocalist Scott Weiland was in Orlando, Florida on New Year's Eve to play a show at Universal Studios, but he did take the time out to take his son Noah, wife Mary, and his wife's sister to the attractions there. Apparently Weiland and family have moved beyond a spousal abuse incident that occurred last November, for which Weiland has pled guilty to a charge of battery.  Weiland recently called into the Stone Temple Pilots website to thank fans for their support. He talked about his health and his disappointment with the commercial success of STP's latest album, Shangri-La Dee Da. "I want to let everyone know that I am totally healthy--mind, body, and soul--and so is that of my family. We are all together and the bond between us has never been better. Lastly, I guess, I want to apologize to all of you for turning my back on you, the fans, and not showing appreciation for your love and support. The fact is Shangri-La broke my heart, I put everything into that album, believing if I could get real and honest but it was virtually ignored and I was wrong. I'm tired of looking for blame in this and I am in acceptance over it although it took a long time." Weiland added, "The truth for me now, today, is that there is more to life than music and art, so much more. I want to know who I really am. I'm not sure that I truly do. I am happy today and that's all I know. Whatever happens for me musically in the future has yet to be seen by you or me." Stone Temple Pilots still plan to release "Wonderful" from Shangri-La Dee Da as a single, and are considering making a video for the song. There has been no word as to when the single will be released. Scott left another message on the Official Site. He talks about how he is disappointed with SLDD's sales and apologizes to all the fans for turning his back to them. "Hello to all the true STP fans. I just wanted to say I hope you all have a happy holiday season and wish you the best in the New Year. Thank you to all the people that came to see us play at Myrtle Beach and in Orlando for new year's eve. The shows went famously and we all an exceptionally good time. Especially at Walt Disney world and universal studios where Mary and I and Noah and Mary's sister Julie went. We had a great time. Noah especially liked the Barney show. Stay tuned for further messages and I just wanted to say thank you very much for all your support. There are some things coming up. We will be, I believe, doing a video for 'Wonderful' and putting that out as a single. I think that's the plan for our new management, The Firm, which so far we are incredibly happy with. I just wanted to say we love you all and I have a message that I'm working on right now that will be available for you all to read very soon. Much love and peace."